The Adventures Of Lil' Lukie! Louder Than A Rocket Ship! More Powerful Than Mommy's Desire To Sleep! Able To Dissolve Thick Nappies With A Single Pee! What's that in the sky??? It's LIL' LUKIE! The brand new superhero-inspired children's book by author, Christopher Brennan and illustrator, Ger Hankey. Watch this exclusive video, introducing The Tiny Tot Of Justice to the world. Lil' Lukie's birthday is coming! And that means a whole new adventure for Mommy, Daddy and the Super-Powered Pup! 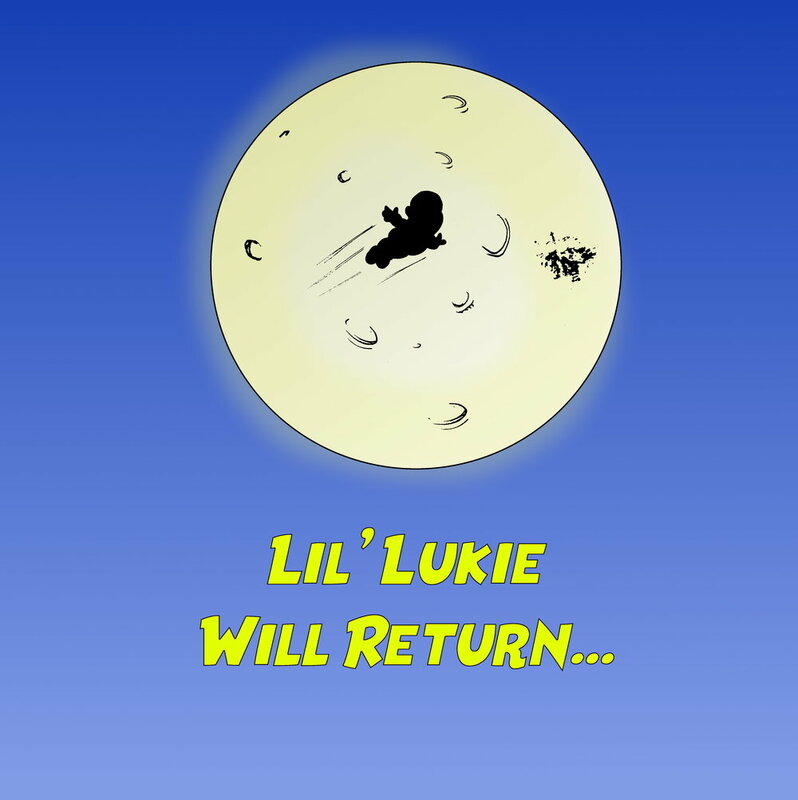 Sign-up to be notified about the next installment of Lil' Lukie! Hear what people are saying about the super-powered adventures of Lil' Lukie! More of a Twitter fan? Well, we got you covered! Join us on the Tweet-Machine @OneDayStoryBook!